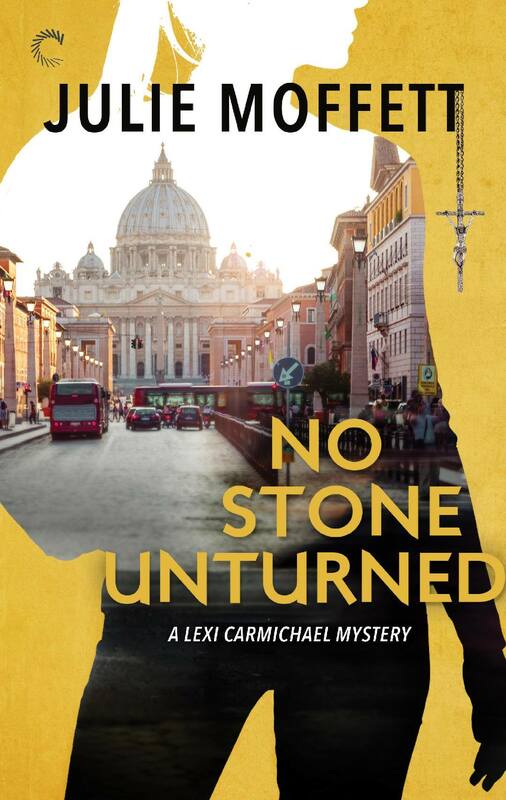 No Stone Unturned by Julie Moffett – Who Likes a Twist? And Giveaway! To twist or not to twist, that’s the question. I guess it all depends on what you like to write or read. As a writer, I love creating plot twists. I don’t want my story to be staid or predictable, especially when there is a mystery to solve. To accomplish that, I enjoy putting my characters in difficult situations. I like when things happen to shake them up, force them to think on their feet and outside the box. I like that plot twists usually create problems, sometimes seemingly insurmountable ones. After all, that’s the idea. Now, putting the shoe on the other foot… As a reader, I like to read plot twists. I always get a little thrill when there’s a plot twist that takes the story in a direction I’m not expecting. This doesn’t mean there aren’t terrific stories out there that don’t have plot twists and are fairly predictable. There are many such novels and I like to read those, too. I call those kinds of books my “comfort” reads. I’ll sit with one of those stories when I’m not in the mood to be thrilled, shocked or held to the edge of my seat. However, in most cases, I happen to be fond of plot twists in both the books I write and read. Is there a secret to writing plot twists? Not really. Many are individual or unique to the story itself. But there are a few guidelines. The most effective plot twists are those that are generally unexpected. It’s an event that happens out of nowhere but still ties into the plot. An action that is feasible within the world you’ve created and makes sense, but something the reader did not anticipate. Good techniques to accomplish a plot twist are causing an event to happen at an inconvenient time in the story. For example, the serial killer is revealed as the hero’s uncle just as the hero is about to propose to the heroine. Now the hero isn’t sure the heroine would marry him, so he doesn’t ask her as the reader expects, and instead, goes to hunt down the uncle. Another technique is to shake up the characters themselves. A formerly “good” character goes “bad”. Or the “black sheep” character unexpectedly turns good, just in time to save the heroine/hero (i.e. remember Han Solo at the end of Star Wars?). Another technique used quite often by mystery and suspense writers is to cause an unexpected death. Kill someone off that the readers didn’t expect to bite the dust. Even better, make it quick, sudden and unexpected death. A sudden death is a good way to heighten the tension, move the plot along and cause a plot twist that shifts the direction of the story. 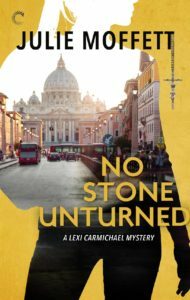 In my latest book, NO STONE UNTURNED, the 11th book in my long-running, geeky Lexi Carmichael Mystery Series, twists abound! Lexi thinks getting engaged means calmer days ahead. But when her fiancé’s past brings up more questions than answers, she’s not going to let anything—or anyone—drive them apart. Geek girl Lexi Carmichael thought getting engaged would mean calmer days ahead. But when Slash’s past brings up more questions than answers, she’s not going to let anything–or anyone–drive them apart. **GIVEAWAY! 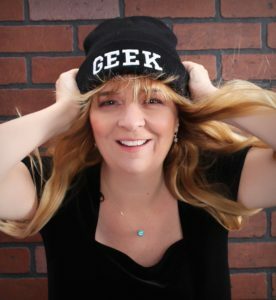 ** I’m giving away an e-copy of either the first book in the Lexi Carmichael series, NO ONE LIVES TWICE, or the first book in the young adult mystery spin-off of the series, WHITE KNIGHTS. How to enter? Let me know if you like plot twists. Is there a particular plot twist in a favorite novel that stands out as particularly memorable? Inquiring minds (well, mine!) want to know! I like plot twists that are done well. I love fiction. I adore plot twists. I want to be kept on my toes. Mid book or late in book are the best. I love plot twist. I love a good mystery and plot twist hold my attention. Thanks for the chance. I love plot twists. I can’t think of one in particular but it’s the sign of a good author to be able to surprise their readers.